What Would Happen If The Earth Got Sucked Into A Black Hole? So, considering black holes are so strong that not even light waves can escape, what would happen if Earth itself ever got too close and was sucked into one? You die. Well, that would be pretty obvious, but the moment before you die something pretty *bad* happens. Spaghettification. Even when near a stellar black hole, the gravitational pull near your feet can be a million times stronger than at your head, and you guessed it. You get stretched like a noodle. It’s a horrible way to die. 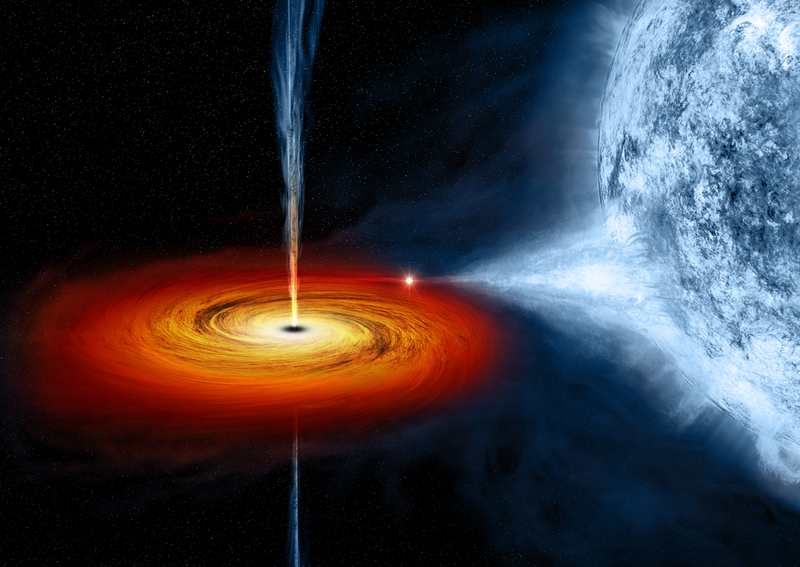 That’s the supermassive black hole Gargantua from Interstellar. Why didn’t Cooper die of Spaghettification when he was falling in? In a supermassive black hole (like Gargantua), the singularity (the point where gravity becomes infinite), is quite far away, contrary to a stellar mass black hole. The closer you are to singularity, the more chances of getting spaghettified right away. Gargantua was massive. Quantum Entanglement: Who is right Einstein or Bohr?